Here's a book worth reading.... It's actually an essay written by Ronald Wright that was presented at the CBC Massey Lectures. The fact that it's an essay means it's relatively short, which is great because you can read the whole thing in an evening (like I did). 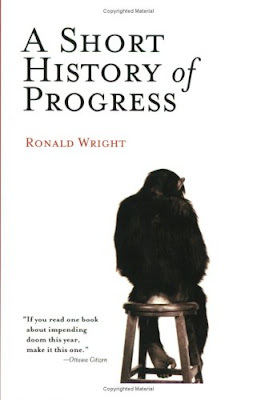 A Short History of Progress is a candid, sober account of the history of civilizations, essentially repeating the same mistakes over and over again. I'm not a big history buff, so I was surprised to find myself not being able to put this book down. Simply put, it blew my mind.